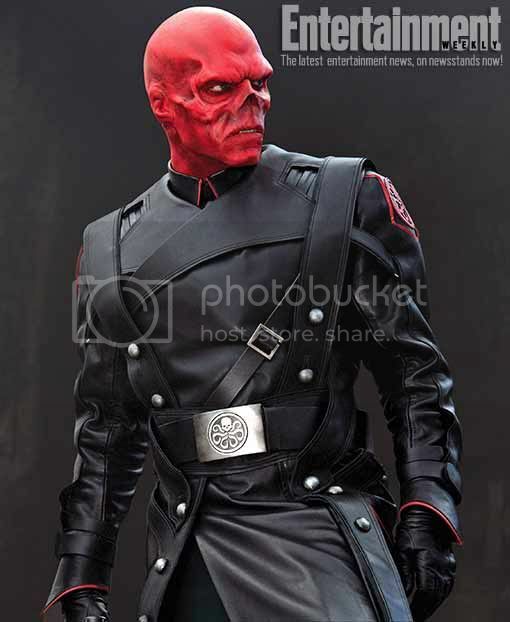 Captain America Movie Red Skull First Look - Is He Blushing? I just saw the first full trailer of "Captain America: The First Avenger" earlier today and for some reason they just flashed the Red Skull's face for less than a second. 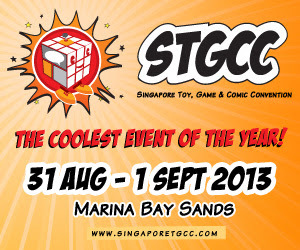 Luckily I found this promotional image online which I can share with you. I have to say Hugo Weaving looks mighty... err... red in his costume. I'm not actually familiar with the Red Skull's origin and how he managed to turn his head into a big cherry tomato but I'm sure Wikipedia will help me out, it's just that I'm too lazy to do it right now. I guess it's only a matter of time before we see Capt. America toy shields like this Thor Hammer.